Support the critically important “new product” introduction of Viking Ocean Cruises. 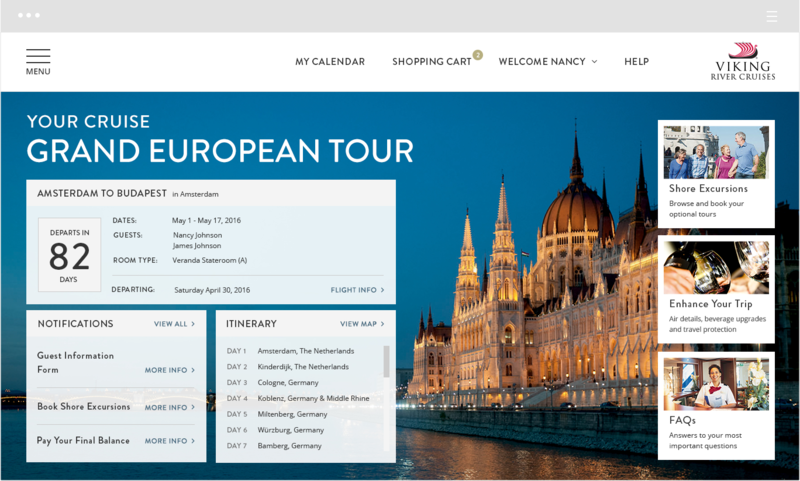 Create a strong, lasting connection between Viking Ocean Cruises and its guests by adding measurable value to their experience in their eyes. Generate incremental revenue via a) new cruise bookings and b) encouraging guests to add optional extras both before and during their cruise (e.g – on-shore excursions or onboard spa treatments). Be easy and reliable for guests to use on both Apple and Android devices. Fully and easily integrate with Viking’s legacy systems for content and customer/booking data including Tridion, Evolution and MXP. Help to modernize the overall Viking brand. Concierge service is a staple of upscale travel, but user research told us that the top prospects for luxury cruises don’t necessarily want every detail handled for them. They are often very hands-on and self-reliant while still desiring concierge service from time to time. 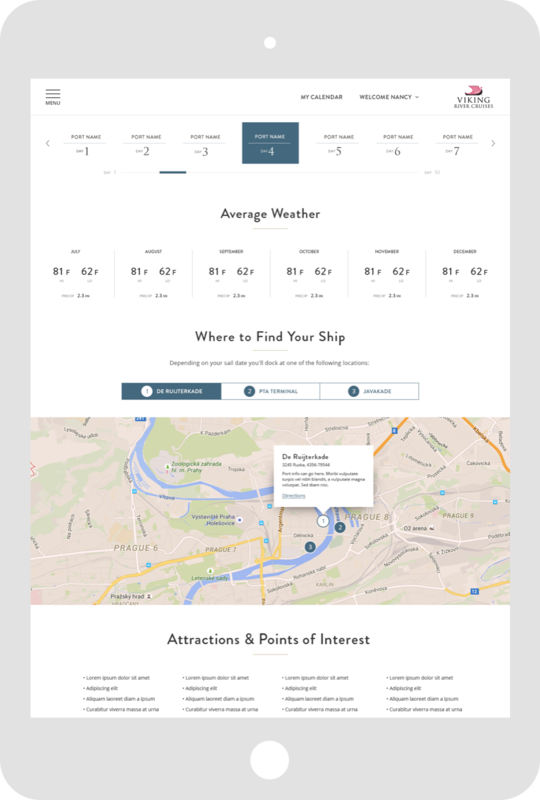 We used this data to define a new level of service for Viking Ocean Cruises. 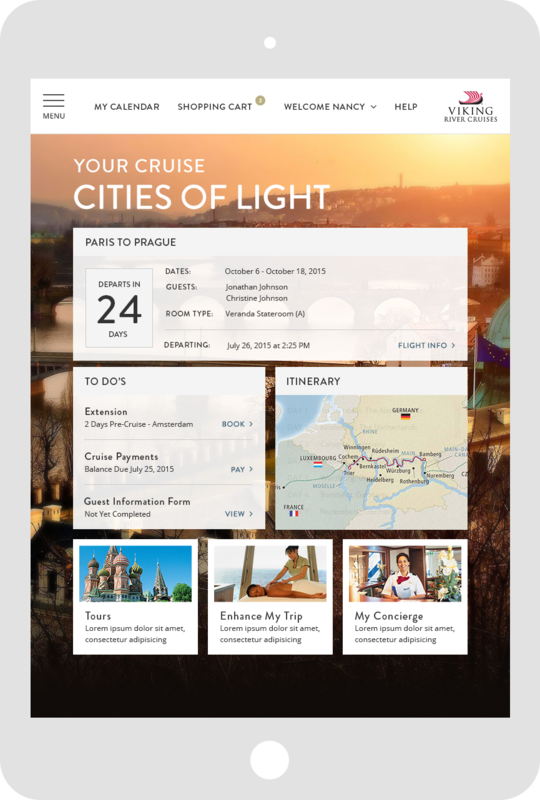 While Verso created a wide range of new digital products for Viking Ocean Cruises which covered the digital landscape (website, onboard kiosks, iTV, online advertising and many more), at the heart was (and is today) the new My Viking Journey app. 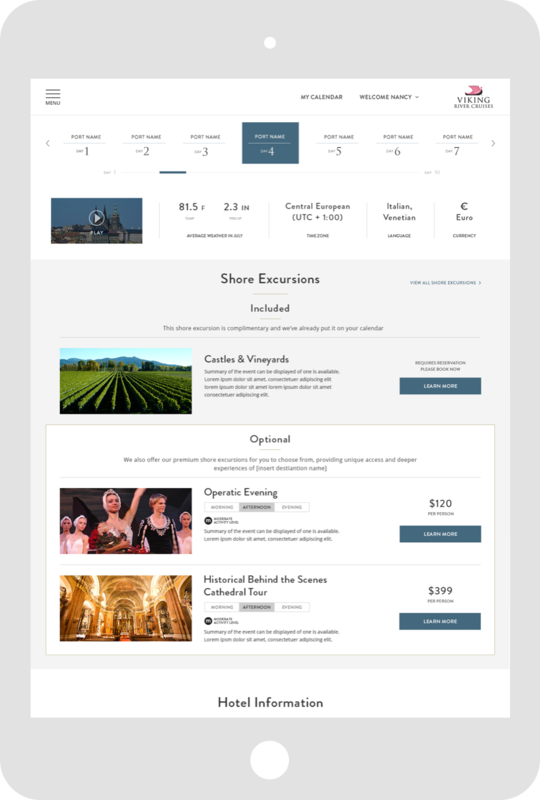 We developed this new, very powerful customer experience application to be the seamless, all-knowing and “Can Do” digital concierge for upscale, discriminating and mobile device-reliant guests. 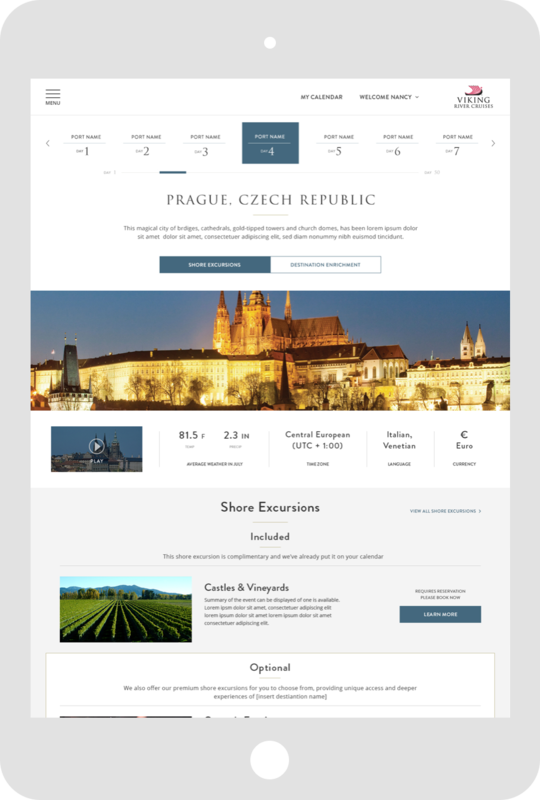 By making it easy for them to manage their entire trip(both before and during) from their mobile devices, the impact of My Viking Journey was substantial from day one. During 2016 (first full year of operation for Viking Ocean Cruises), 96% of guests created a My Viking Journey account vs. the ingoing goal of 80%. My Viking Journey generated $244 million in incremental revenue. Cruise Critic voted Viking Ocean Cruises the world’s best cruise line. 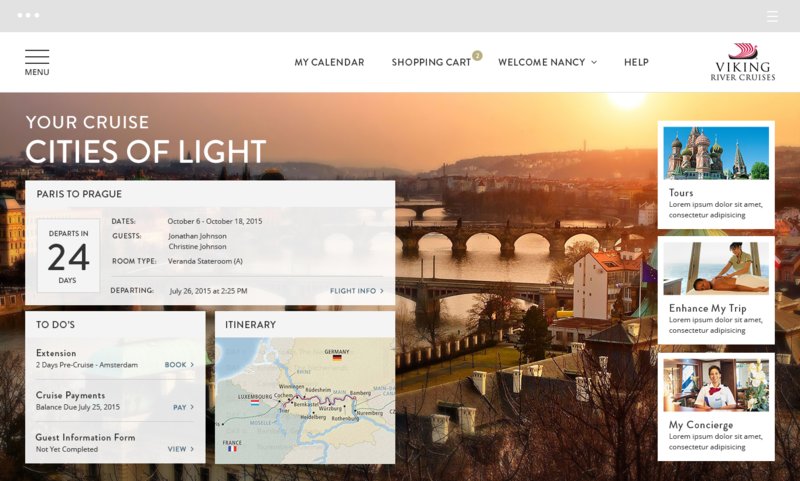 Guests can view each day of their journey. Add an included or optional shore excursion. Access the weather, maps and information on attractions of the city they’re in.